Philippines – every day's a holiday! “People Power” in the Philippines refers to the overthrow of dictator Ferdinand Marcos in 1986. Famous in the West for his wife’s taste in shoewear, his administration was also known for embezzlement, corruption, despotism, fraud and rigging elections. In 1972 President Marcos declared martial law in response to a bombing in Manila that killed killed nine civilians. Marcos had his political opponent Benigno Aquino arrested, and though no evidence connected him to the crime, a military tribunal found him guilty and sentenced him to death by firing squad. The sentence was later mitigated, but he remained in prison for seven years. In jail Aquino suffered a heart attack and was granted leave to receive surgery in the United States. Aquino and his wife Corazon did not return to the Philippines for 3 years. In that time both were active speakers against the Marcos government, which had amended the Constitution in the 1970s and 80s to extend martial law, increase the scope of Marcos’s power and the length of his term. 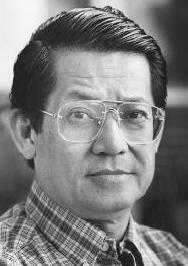 Benigno Aquino returned to Manila on August 21, 1983. He was assassinated “by a lone gunman” according to the government, the moment he stepped off the airplane. He was reportedly called “The Greatest President we never had,” by Liberal Party leader Jovito Salonga. There was never proved any direct evidence linking Marcos to the assassination, but it sparked widespread discontent with the Marcos administration. In November 1985 Marcos announced Presidential elections to take place in February. Benigno Aquino’s widow Corazon ran against Marcos. The Marcos government claimed to have won the election, but accusations of extreme voter fraud and massive public demonstrations against his rule combined with military opposition and U.S. pressure forced Marcos to resign on February 25, 1986. Today People Power Day is not one day but four days, from February 22—marking the beginning of the demonstrations—to February 25, when Marcos stepped down. Marcos loyalists attempted to bring down the Corazon Aquino administration, but were unsuccessful. President Aquino was the first woman and the first Asian to deliver a keynote address before the United States Congress. 2. A book, especially a Bible, containing several versions of the the same text in different languages. 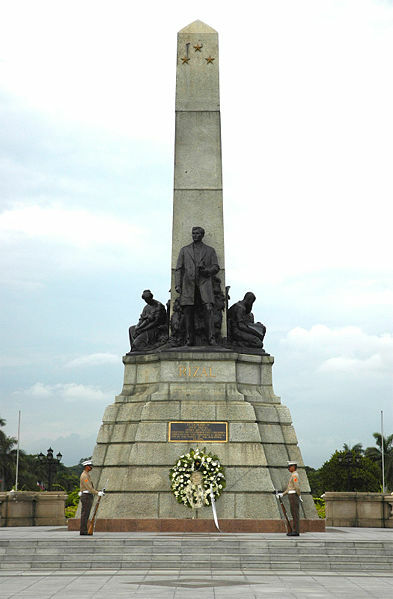 Today the people of the Philippines mourn the death and celebrate the life of their national hero Jose Rizal. This eerily self-fulfilling prophecy was spoken not by Rizal, but by Elias, a character in Rizal’s great novel Noli Me Tangere, written almost a full decade before Rizal’s own execution. Rizal wrote Noli Me Tangere (literally, “Touch Me Not”) at age 25. By that time Rizal had earned his Bachelor’s degree (at 16) in the Philippines; he had studied medicine at the University of Santo Thomas, but after witnessing discrimination against Filipino students, he sailed to Spain to complete his studies at the University of Madrid; he specialized in ophthalmology, due to his mother’s worsening blindness; and he earned a second doctorate at the University of Heidelberg. Rizal spoke at least a dozen languages–some sources say 22–including, Spanish, French, Latin, Greek, German, Portuguese, Italian, English, Dutch, Japanese. He translated works from Arabic, Swedish, Russian, Chinese, Greek, Hebrew, and Sanskrit into his native tongue of Tagalog. While in Germany, he was a member of the Anthropological Society of Berlin, for which he delivered a presentation in German on the structure and use of Tagalog. But it was his novel Noli Me Tangere that would earn him fame in the Philippines and infamy in Spain. Noli Me Tangere exposed the hypocrisy of the Spanish clergy in the Philippines and the injustices committed against native Filipinos. And his follow-up non-fiction work demonstrated that contrary to 300 years of colonialist teachings the Filipino people had been an accomplished nation before the Spanish set foot in the country. That in fact, colonization had resulted in a ‘retrogression’. Rather than give in to harassment, Rizal followed it up with a sequel, El Filibusterismo. Rizal’s novels became a rallying point for nationalists in the Philippines. In Spain he continued to fight for equal rights and representation for his countrymen. Rizal returned to the Philippines in 1892. After a rebellion broke out, Rizal was arrested and sent into 4 years of exile. While in exile in Dapitan he managed a hospital, provided services to the poor, taught language classes, and worked with soldiers to improve the area’s irrigation and agriculture. In 1896 the Philippines Revolution broke out. Though Rizal emphasized non-violence in his works, he was again imprisoned, and this time sentenced to execution. Just before his death, Rizal wrote his final poem, which he ‘smuggled’ out to his sister by hiding it in the stove in his cell. The poem has no title, but is often called “Mi ultimo adios”…My last good-bye. He was executed by firing squad at 7:03 am on December 30, 1896, and buried without a coffin. His tragic death only strengthened Filipino resolve for self-determination. In April 1898, the fight for independence, led by Andres Bonifacio and Emilio Aguinaldo, received a boost from an unexpected party: the United States. 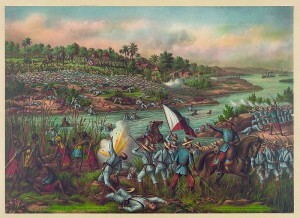 The Spanish-American War, which had begun in Cuba, soon stretched to all of Spain’s remaining Pacific territories. That summer the Philippines Army, headed by Aguinaldo, defeated Spanish troops, and handed over 15,000 Spanish prisoners to U.S. forces, along with valuable intelligence. Aguinaldo declared the Philippines an independent nation on June 12, 1898. The Philippines soon found they had rid themselves of a demon only to make a deal with the devil. In defeat Spain ‘ceded’ the Philippines to the U.S., which immediately rejected Philippine independence. Whereas the Spanish had sought to bring Catholicism to the Philippines, the U.S. sought to bring “freedom” and “civilization”. The war that followed, the U.S.’s first overseas experiment in nation-building, took the lives of over a quarter million Filipinos (a low estimate), the overwhelming majority of them civilians. Disease and famine were a prime cause of civilian deaths. But torture, mass executions, internment camps, village-buring, and other atrocities against civilians were also staples of the war. The war officially ended in 1902, but fighting continued until 1913. English, spoken by a minority of Filipinos, was declared the official language. 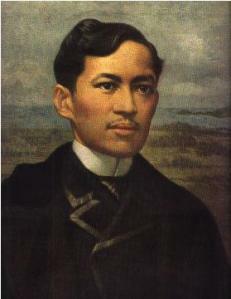 The Philippines would not see independence until after World War II, fifty years after the death of Jose Rizal. Through that time and even to the present, Rizal and his writings continue to symbolize the Filipino spirit and their long fight for equality and self-determination. On the lake the bangka in years bygone. Twenty-seven years ago today a shot rang out in a Manila airport. Returning to the Philippines after three years in exile, Benigno Aquino, leader of the Liberal Party and the most vocal opponent of President Ferdinand Marcos, was struck dead by an assassin’s bullet. Twelve years to the day prior to his death, Aquino had escaped another attack. He was not present at a Liberal Party rally where two fragmentation grenades were thrown on stage, killing 9 and injuring almost 100 Liberal Party members and supporters. In response to the bombing, President Marcos suspended habeas corpus and arrested scores of Maoists. The following year he declared martial law, and had Aquino, his #1 opponent, arrested. Although no evidence connected Aquino to the crime, a military tribunal found Aquino guilty and sentenced him to death by firing squad. The sentence was later mitigated, but Aqunio remained in prison for seven years. In jail Aquino suffered a heart attack and was granted leave to receive surgery in the United States. Benigno Aquino returned to Manila on August 21, 1983, knowing full well the many dangers that awaited him. Below is the beginning of the address he was set to give upon his return. “I have returned on my free will to join the ranks of those struggling to resolve our rights and freedoms through non-violence. I seek no confrontation. I only pray and will strive for a genuine national reconciliation founded on justice. I am prepared for the worst, and have decided against the advice of my mother, my spiritual adviser, many of my tested friends, and a few of my most valued political mentors. “A death sentence awaits me. Two more subversion charges, both calling for death penalties, have been filed since I left three years ago and are pending with the courts. I could have opted to seek political asylum in America, but I feel it is my duty, as it is the duty of every Filipino, to suffer with his people especially in time of crisis. Aquino never had a chance to deliver the speech. He was assassinated “by a lone gunman” according to the government, the moment he stepped off the airplane. There was never proved any direct evidence linking Marcos to the assassination, but it sparked widespread discontent with the Marcos administration. In November 1985 Marcos announced Presidential elections to take place in February. Benigno Aquino’s widow Corazon ran against Marcos. The Marcos government claimed to have won the election, but accusations of extreme voter fraud and massive public demonstrations against his rule combined with military opposition and U.S. pressure forced Marcos to resign on February 25, 1986. Beningo Aquino’s widow Corazon Aquino became the first female President of the Philippines. She passed away on August 1, 2009.